Fire sprinklers save lives, but only if they work properly when needed. To ensure they will work when needed, sprinkler systems need to be inspected and maintained. Keeping inspections and maintenance activities on track it critical. 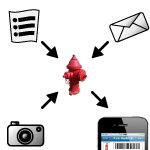 SBN has created mobile fire sprinkler inspection software to help organizations ensure that their fire sprinkler systems will work when needed. 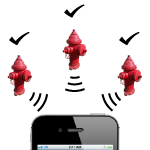 Our fire sprinkler software is easy to use and is a robust solution for fire sprinkler system inspections. The core of the fire sprinkler software is our fire sprinkler system inspection checklist. Using our administrator’s tool, users can create custom fire sprinkler system inspection checklists that meet their unique needs and set inspection frequencies. Using the pre-established inspection schedules, staff can then head out in the field on scheduled dates and document the fire sprinkler system inspections right from the field. A program manager can see in real time which systems need to be inspected and how those inspections are progressing. They can also see in real time which systems fail inspection using the “exception” feature in our mobile fire sprinkler inspection software allowing for swift resolution of any problems that are discovered.